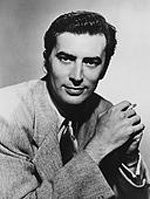 John Baragrey was a "tall dark and handsome" Hollywood and Broadway actor. He found steady work on TV Soaps but les success in film. He shared the stage with a number of popular leading ladies, including Rita Hayworth, Jane Wyman, Jane Powell, Anne Bancroft, Judith Anders and Bette Davis.